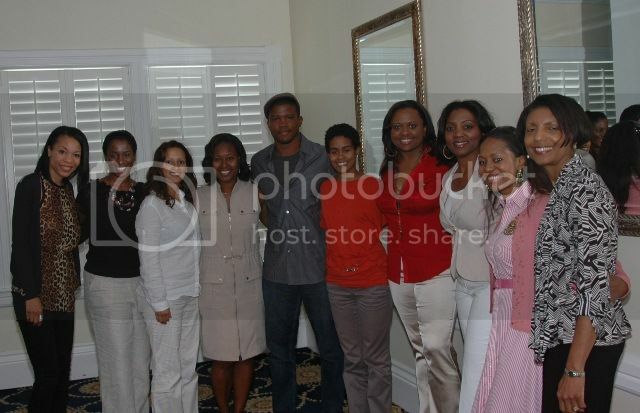 Christal M. Jackson, founder, Head and Heart Philanthropy Summit (3rd from right) surrounded by the summit's first co-hort (L to R) Tracey Webb, Deidra Jackson, Lidya Araya, Jacquie Hood Martin, Sharif Atkins, Adia May, Antoinette Latham, Shannon King Nash and Dr. Elsie Scott. Presentations from those prominent in the nonprofit and philanthropic sectors provided attendees with an overview of the work being done to transform and strengthen communities: Garrick T. Davis, legislative director of economic and financial policy, National Urban League and Dr. Elsie L. Scott, president and CEO of the Congressional Black Caucus Foundation presented on the intersection of philanthropy and policy; Sherrie Deans, executive director of the Admiral Center shared insight on how the organization supports celebrities with being strategic in their philanthropic efforts; Joe Scantlebury, senior policy officer at the Bill and Melinda Gates Foundation presented on the tools needed to build a successful foundation; and executives from J.P. Morgan Chase Private Bank's Philanthropy Centre, Erin Hogan, vice president, Atiya Weiss, vice president and Terry Woodard, managing director and senior banker, presented on the various financial vehicles that individuals and organizations can use to give and how its' division supports important issues such as education and health. 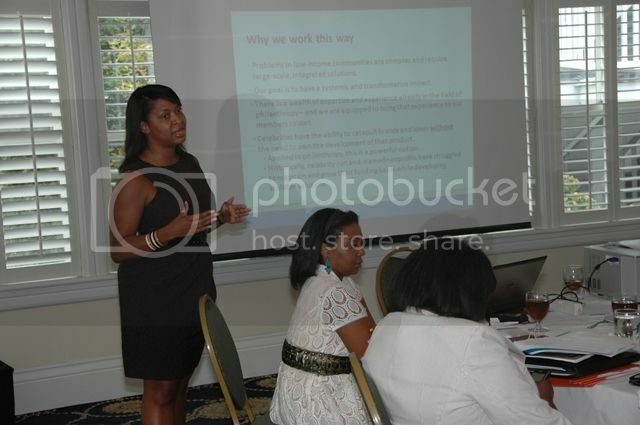 Sherrie Deans, executive director of the Admiral Center presented the session, "A Model of Philanthropy." The first cohort selected to take part in the inaugural summit were: Lidya Araya, co-founder and co-producer, World Swirl Productions; Sharif Atkins, actor, USA Network’s “White Collar” and formerly of NBC’s ER; Susan Taylor Batten, president and CEO, Association of Black Foundation Executives; Daphne Doyle Benbow, Usher's New Look Foundation; Michelle Coffey, executive director, Lambent Foundation; Ebonie Johnson Cooper, founder, FriendsofEbonie.com; Lisa E. Davis, attorney; Deidra Jackson, executive director, The Arts Emporium, Inc., and director of communications and governmental affairs for BASF Louisiana; Lloyd M. Johnson, Jr., founder, Minority Corporate Counsel Association and “Diversity & The Bar” magazine; Antoinette Latham, executive director, Vince Young Foundation; Darryl Lester, founder, Hindsight Consulting and Community Investment Network; Jacquie Hood Martin, founder, J. 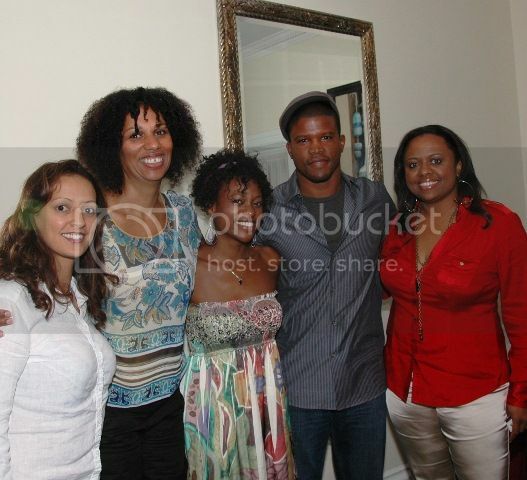 Hood &Associates; Adia May, founder and CEO, Zuri Entertainment; Yvonne Moore, executive director, Daphne Foundation; Shannon King Nash, president, Nash Management Group; Alex Richard Picou, managing director and senior banker, J.P. Morgan Chase Private Bank; Celeste Smith, senior private banker, J.P. Morgan Chase and board member, New York Women's Foundation; Sid Smith, founder and president, SRS Counsel, P.C., and general counsel, Syncom Venture Partners; Stacey Trammel, contributor, BlackGivesBack.com; Rica Triggs, executive director, Soledad O'Brien & Brad Raymond Foundation; Jackie Washington, founder, Atlanta Neuromuscular Diagnostics and Save Our Hands; Tracey Webb, founder, BlackGivesBack.com and The Black Benefactors; and Latesha Williams, sports and entertainment executive for LeBron James' marketing company, LRMR Management, LLC. 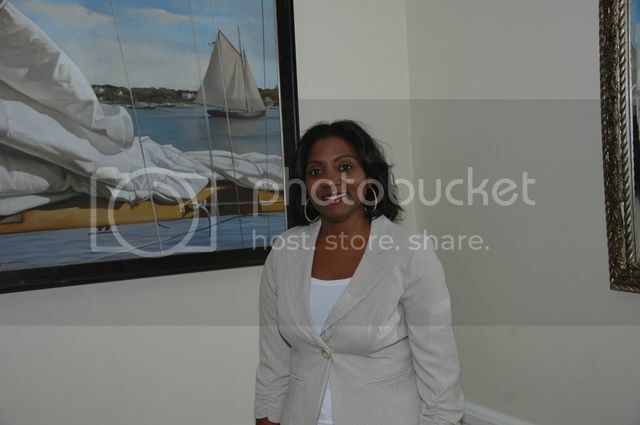 On the evening of August 10th, the summit partnered with the Martha's Vineyard African American Film Festival (MVAAFF) for a screening of "Contradictions of Fair Hope," followed by an engaging discussion led by Rashad Robinson, executive director of Color of Change and S. Epatha Merkeson that focused on the impact of media on communities of color. 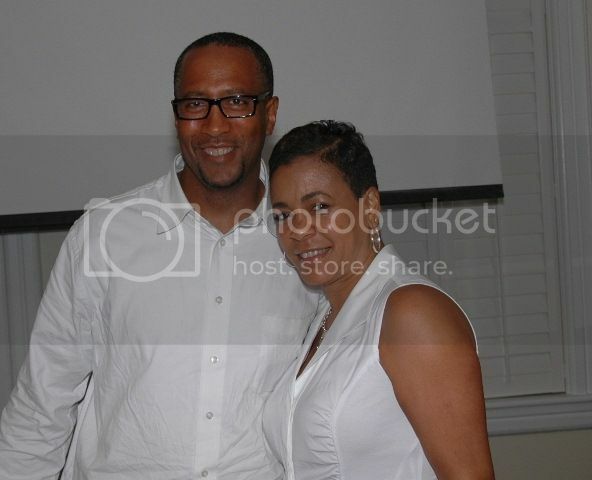 See highlights from the screening here. 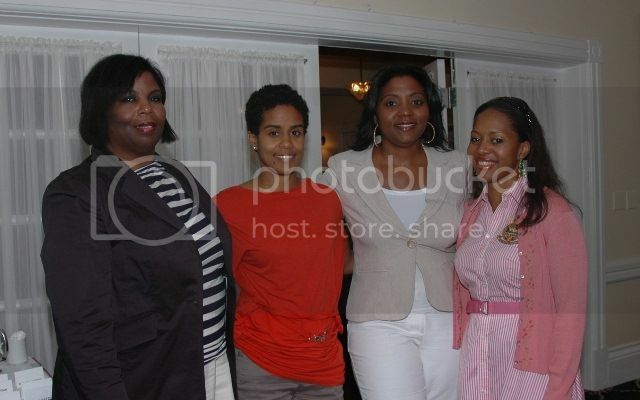 The group gathered afterwards at Hooked restaurant for dinner and the MVAAFF after party. 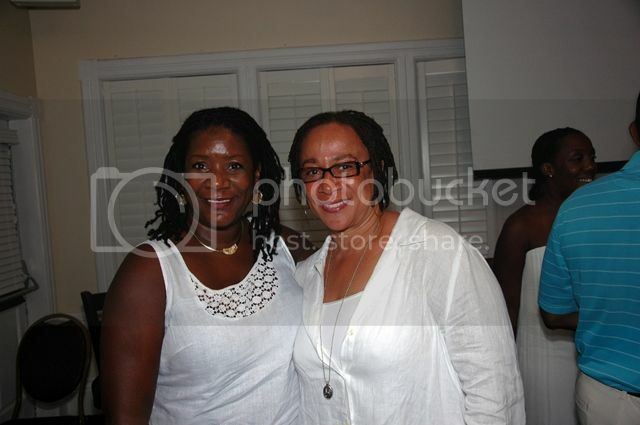 Dr. Jackie Washington and S. Epatha Merkeson at the "Contradictions of Fair Hope" screening. Sponsors included J.P. Morgan Chase and Hindsight Consulting. 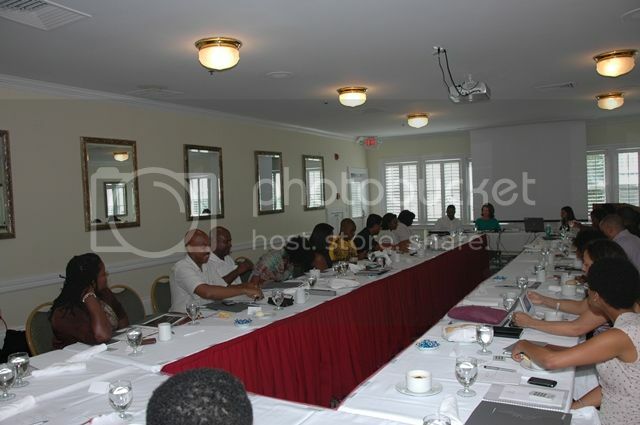 For more highlights from the summit, view tweets from the #HHPS12 hashtag on Twitter, and the article "Black Philanthropy: Why We Do What We Do" from FriendsofEbonie.com.